Today, we’re sharing how to give your dinner a Christmas vibe this holiday season. 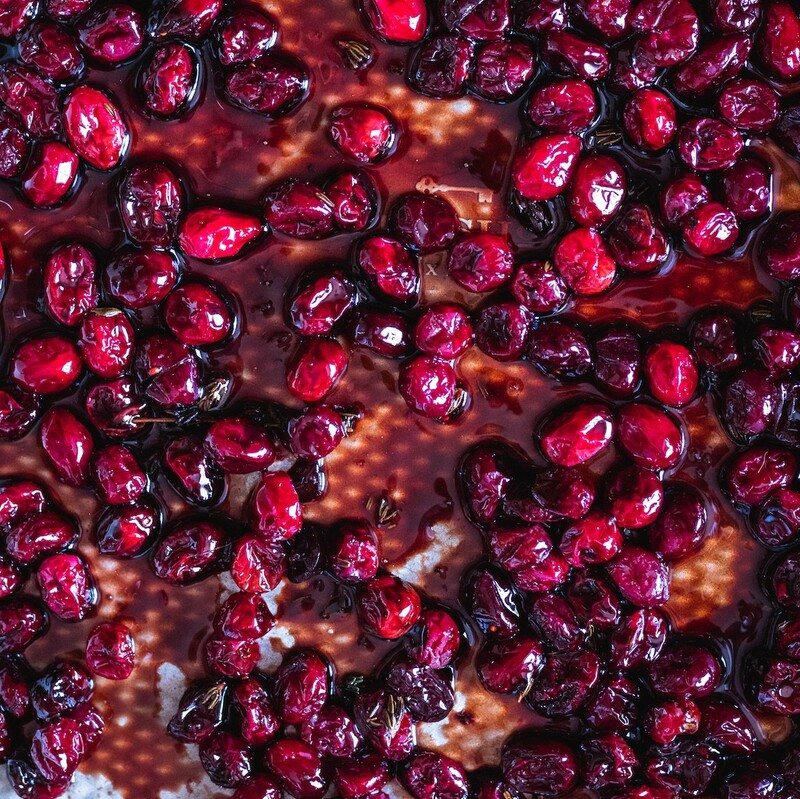 This recipe is the perfect use of fresh cranberries. The cranberries at your US grocer or farmers’ market in December were harvested at the peak of their flavor and are delightfully red. 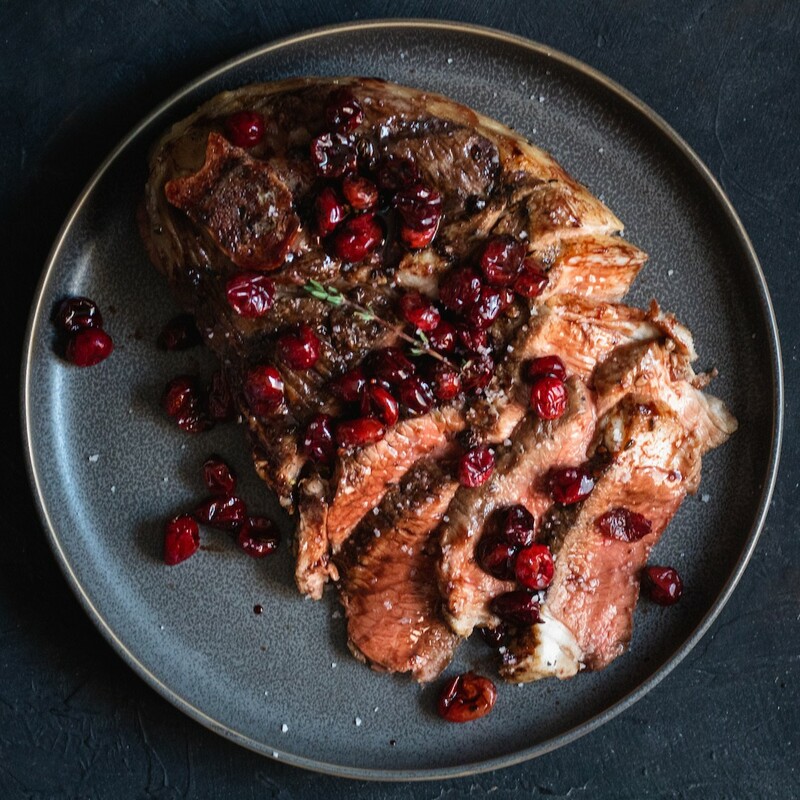 To honor our antioxidant-rich red friends we put together a roasted balsamic cranberry sauce recipe that can be used on top of a variety of dishes. What makes this topping so fantastic is not only the easiness (5 ingredients) but the always wonderful pairing of tart and sweet. For those of you who are new to the world of balsamic vinegar, there is a very big difference between using an aged balsamic vinegar and balsamic vinegar that is cut with wine vinegar. To learn more about the difference and what you are buying check out our guide here. 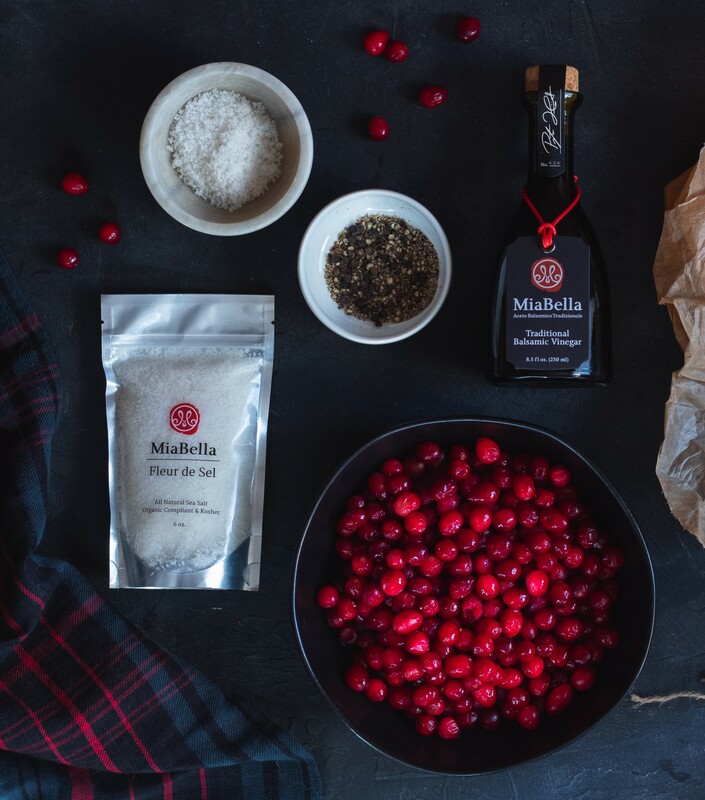 Here are some of the ideas we came up with to utilize our roasted balsamic cranberries. Don't let our short list inhibit you. There are a lot of really great ways to use this sauce. Appetizer - These cranberries work marvelously alongside your appetizers especially when paired with cheese. Put together a crostini by toasting bread and covering it with ricotta or goat cheese and topping with cranberries. This recipe is also fantastic on top of baked brie. Or create something really different and fun by topping mini grilled cheese sandwiches with these roasted cranberries. 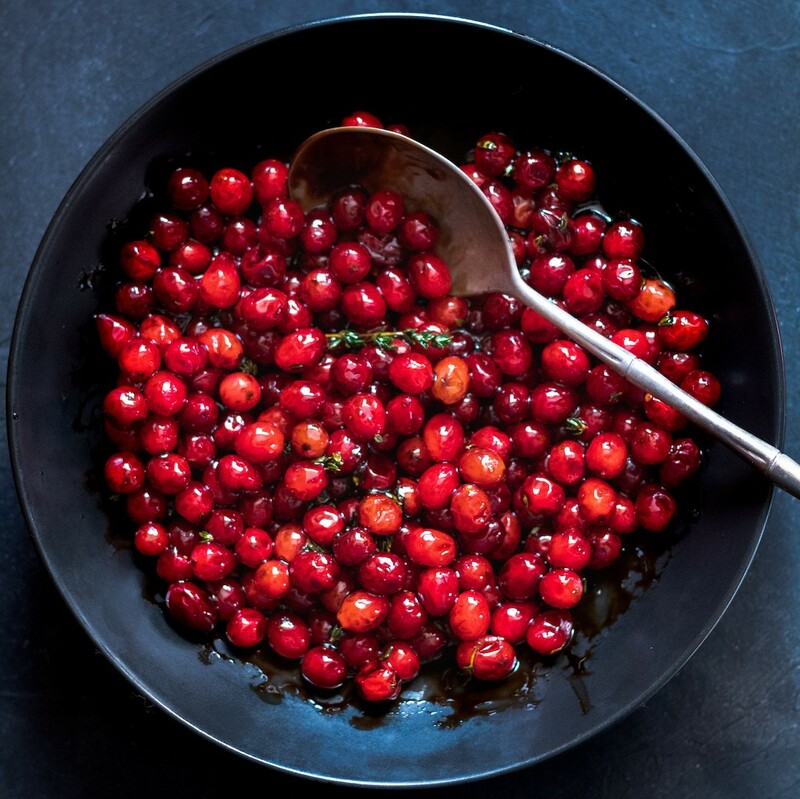 Side dish - Our balsamic roasted cranberries are a sophisticated replacement for cranberry sauce which can then be used based on your guests' tastes. For an already assembled side try this sauce with roasted herbed potatoes. Main dish - This sauce translates great to any type of meat: roasted chicken, steak, roast beef etc. For a more vegetarian-friendly main try it on top of a roasted portobello or squash. Dessert - Create a festive and easy dessert by placing this balsamic cranberry sauce on vanilla ice cream or topping a cheesecake. Now it's time for you to make your own culinary creation with cranberries that are not only the most antioxidant-rich fruit but are also packed with Vitamin C and fiber.